Crockpot Express Egg Loaf is an easy way to make a dozen hard cooked eggs for egg salad or a tasty cobb salad topping! They cook quickly and the best part: no peeling! While it’s not the most appetizing of names, Crockpot Express Egg Loaf is definitely the easiest way to hard cook several eggs without the hassle of peeling them all! I was asked to make egg salad sandwiches for a ladies tea fundraiser. We needed 200 little sandwiches, which meant I had to cook 4 1/2 dozen eggs for egg salad. I wasn’t a fan of the idea of peeling 54 hard boiled eggs, so I made egg loaf instead! 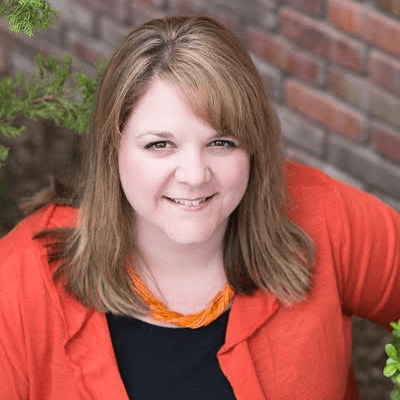 This is another winner that’s going on my list of Crockpot Express Recipes! 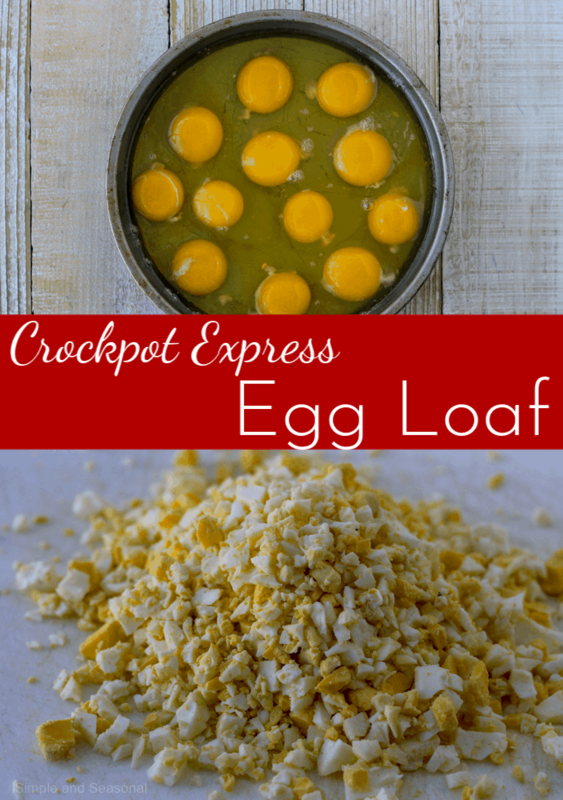 How many eggs can I make in a Crockpot Express Egg Loaf? How many eggs you can cook will depend on the size of the pan you’re using. I used an 8″ cake pan in my 6 quart Crockpot Express. In that sized pan, I am able to make 6-12 eggs. 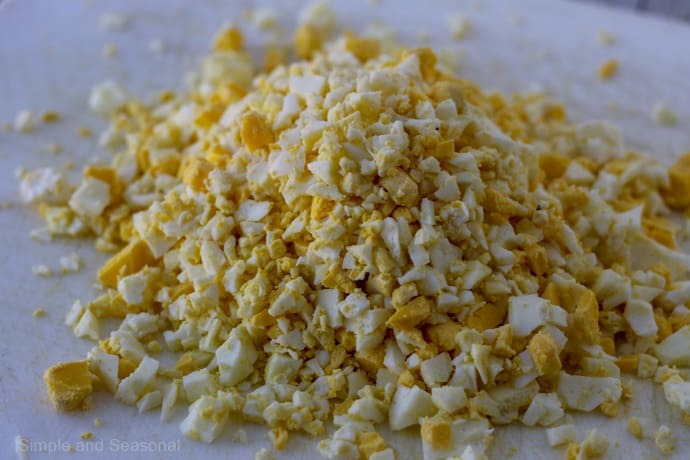 Fewer than 6 eggs spreads the egg whites out too thin and it gets overcooked. If you would like to cook a smaller batch, be sure to use a pan that’s closer to 5-6″ wide. Generously spray a pan (6-8″) with cooking spray. 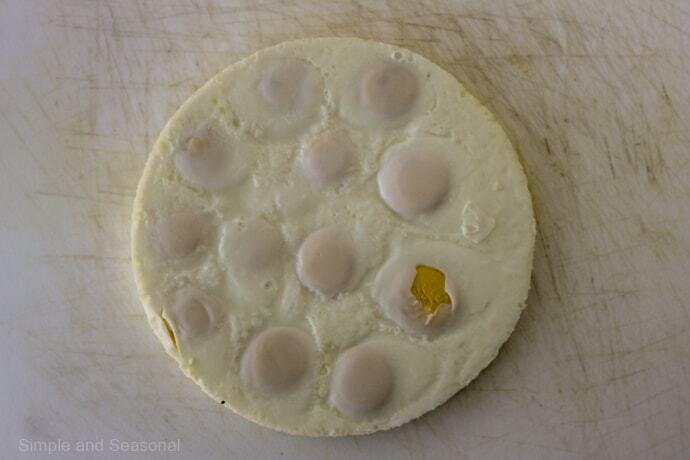 Break eggs directly into the pan. 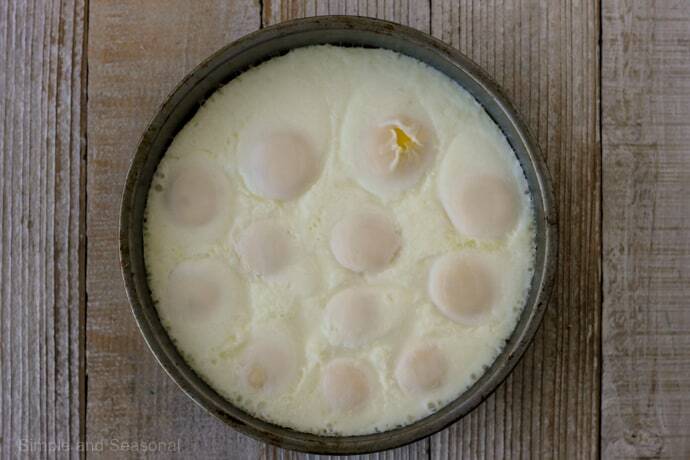 Be sure to use at least 6 eggs unless you have a smaller pan. Add 1 cup of water to the inner pot of the CPE. Make a foil sling to lower onto the trivet or use a handled trivet to lower the egg pan into the Crockpot Express. 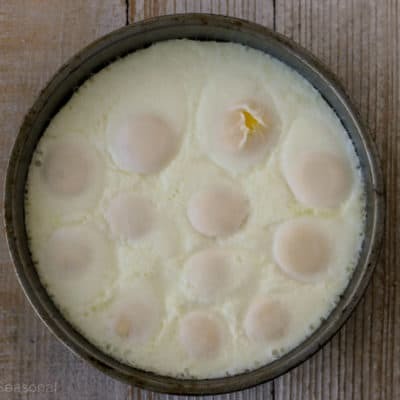 Cook the eggs on Steam for 7 minutes. When the cycle has ended, do a quick pressure release. Lift the pan out of the pot with the sling. Run a knife around the edges to loosen the egg loaf. Run a knife through the Crockpot Express Egg Loaf until you have bite sized pieces of hard cooked eggs. It’s that easy! 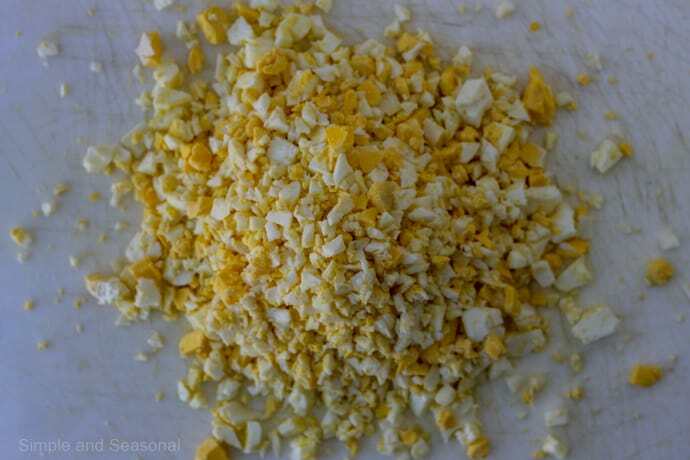 They seem to fluff up as you cut them and before you know it, you’ve got a nice pile of perfectly cooked eggs! 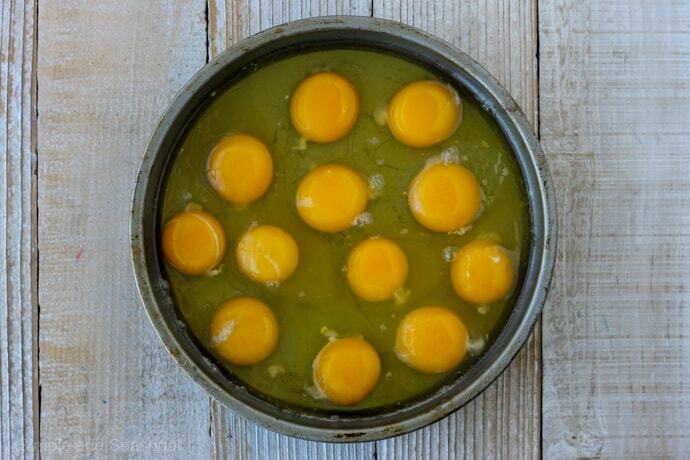 Break eggs into the pan. Add 1 cup of water and trivet to the inner pot. Carefully lower pan into the pot. Press Steam and adjust time to 7 minutes. When cooking cycle is done, do a quick pressure release. Remove pan from the pot. 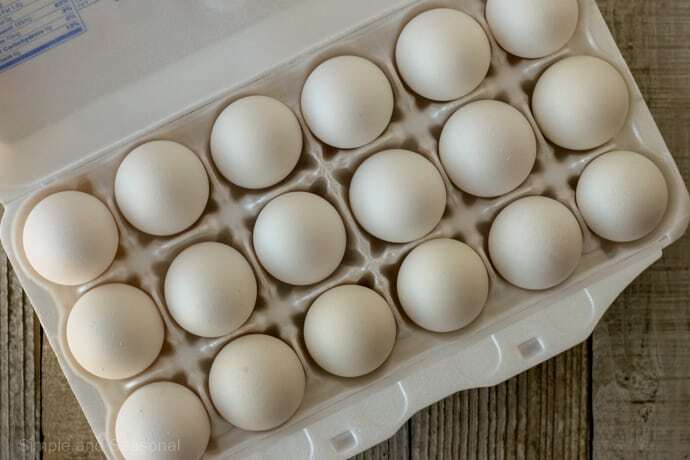 Run a knife around the edges to loosen the cooked eggs. Flip out onto a cutting board and chop into pieces. Pin this clever tip for later!